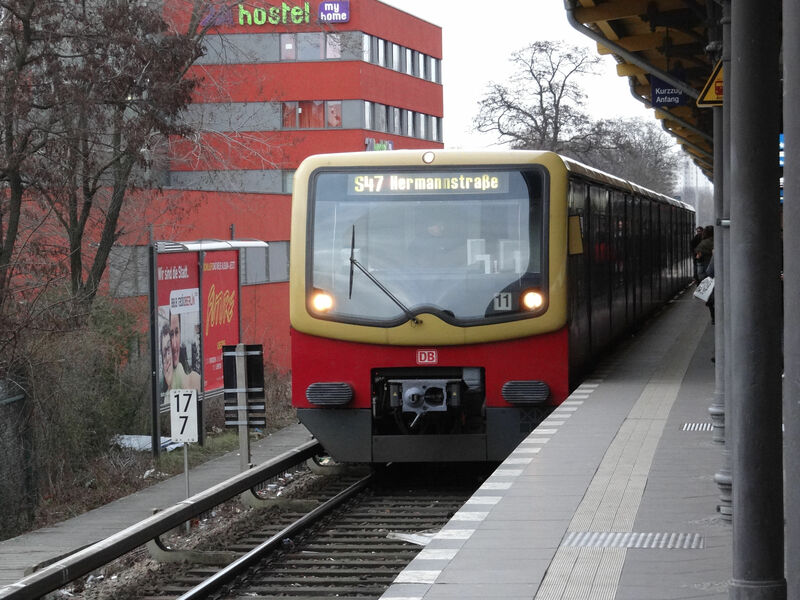 The Berlin S-Bahn system is a local commuter train system with a metro-like third rail DC 600V electric system. Our title picture shows the currently newest class Br 481 train. During the time when Berlin was a divided city, the eastern Germany DR and the western BVG had to operate on the same tracks. There are still many DDR built trains in use. A couple of years back a scandal and a major chaos took place when serious defects with security implications were found at these Br 481 trains and large numbers of them had to taken out of service. The incident almost crashed the whole S-Bahn system of Berlin for about a year. New trains have now been planned, but it still takes a couple of years before they are available. 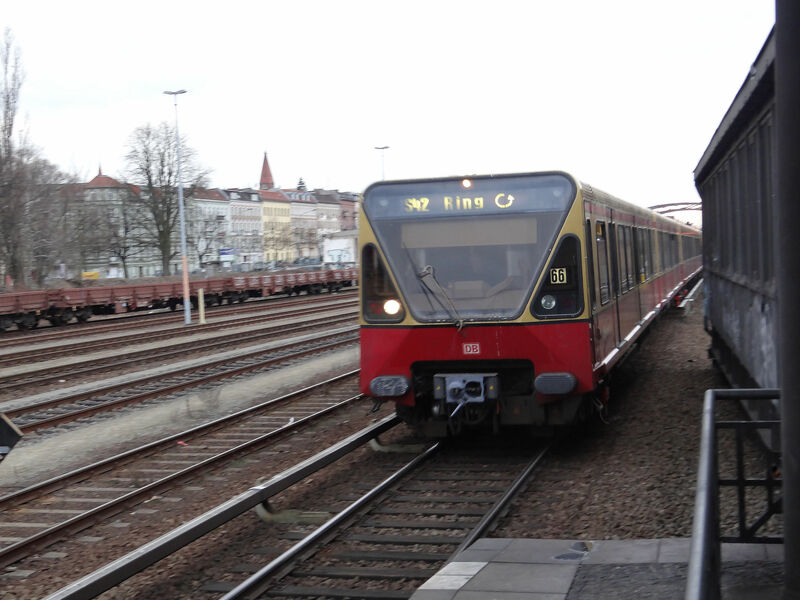 S-Bahn Berlin GmbH is now a subsidiary company of DB AG. Picture of a DB class 481 train on service S47 at the Neukölln station 3.3.2016 by Ilkka Siissalo. 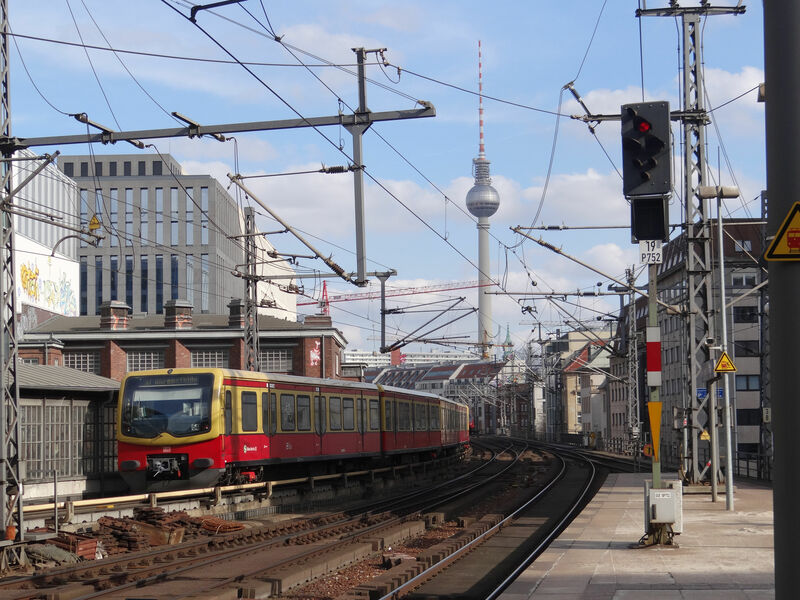 A class 481 S-Bahn train is approaching Berlin Hauptbahnhof. Note the metro-like third rail system for electricity. In the background one famous landmark of Berlin, the DDR built TV tower at Alexanderplatz. Picture 4.3.2016 by Ilkka Siissalo. 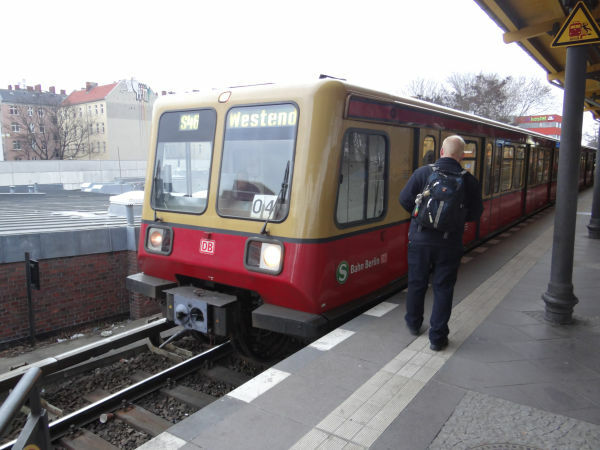 The Br 480 trains were built between 1986 and 1994 by AEG, Siemens and Waggon Union to replace old and outdated DDR rolling stock. They should have been taken out of service already long ago, but due to the lack of rolling stock they have been kept in service on the ring line. Photo at Berlin Neukölln station 3.3.2016 by Ilkka Siissalo. The class 485 is a communist East Germany design from 1987, built by LEW Hennigsdorf, present day Bombardier Hennigsdorf. There were originally 166 of them. These used to be the class 270 of DR, Deutsche Reichsbahn of DDR. Originally the plan was to build 300 of these trains, but the order was cancelled after 170 trains because of poor quality and hope for better trains from the west in 1993. These trains were already once taken out of service, but had to be taken back to work in 2009 because of major problems with the newer Br 481. Photo at Berlin Neukölln station 3.3.2016 by Ilkka Siissalo.